Tanzania’s low cost airline fastjet Plc (AIM:FJET), has recently been awarded with an Air Service License (ASL) by the Kenyan Civil Aviation Authority (KCAA) which allows fastjet to extend its international destinations to Kenya in addition to South Africa, Zambia, Uganda, Malawi and Zimbabwe. The ASL also marks the beginning of fastjet Kenya which has already started the application process for an Air Operator Certificate (AOC) to undertake domestic flights within the country and that would become fastjet’s third subsidiary in Africa after Tanzania and Zimbabwe. The AOC application process is expected to last several months since it involves an evaluation in depth of all fastjet’s aspects from system and procedures to staff and facilities, however, the award of the AOC in Zimbabwe in October 2015 is a good signal of progress towards Kenya and future Zambia AOC, explained fastjet CEO Ed Winter. The low-cost airline expects fastjet Kenya’s first flight to happen soon as it happened with fastjet Zimbabwe’s first flight from Harare to Victoria Falls in Zambia. 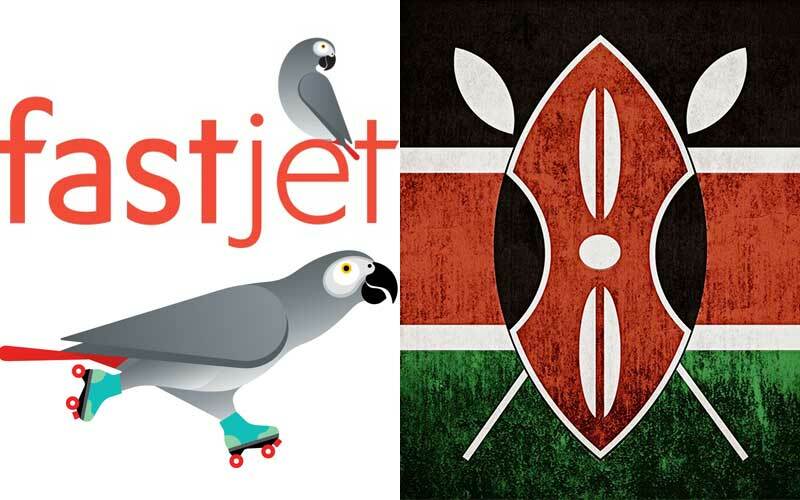 Fastjet is directing efforts to extend its number of subsidiaries in Africa, however it will continue to work hardly on growing the Tanzanian network as done so far, said Mr. Winter. The number of passengers carried by fastjet Tanzania grew from 57,709 in September, 2014 to 76,595 in September, 2015 which represents a growth of 33% on a year to year basis.